From its 80s high point, Ralph Lauren has been on a steady slide, but has really got back on its game in the last couple of yeasr – especially with the custom fit button-down shirts. Great for casual wear, the custom fit is a much slimmer fit than a standard shirt, so a much more fitted item with a small/neat button-down collar. And there’s some decent cotton cloths available too, including the plaid shirts shown here. Check out your local concession right now for custom fit markdowns or go for the new season items like these, which are available at Oi Polloi for £69.99. 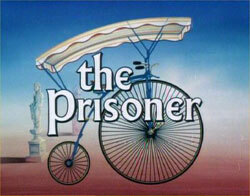 A remake of The Prisoner has been talked about for some time – but now it’s finally been confirmed. ITV has announced that a six-part ‘reinvention’ (which doesn’t sound good) is set to go into production, starring Jim Caviezel and Ian McKellen. Caviezel takes the role of Number Six while McKellen will appear throughout the series in the role of Number Two. It’s not a straight remake – according to ITV, the new show will ‘reflect 21st century concerns and anxieties, such as liberty, security and surveillance, yet also showcase the same key elements of paranoia, tense action and socio-political commentary seen in McGoohan’s enigmatic original’. If you want to find out what that actually means in reality, you’ll have to wait until 2009 – that’s when it hits the small screen. If you didn’t make it to the Terry Hall & Friends gig at London’s 100 Club, here’s a rough and ready video for you. It’s Terry and his band (including Lynval Golding and Ben from the Dead 60s) knocking out The Specials’ Gangsters. Not the best quality video you’ll ever see, but the sound quality is spot on. If you want to know more about the gig, check out a review over on Electric Roulette. Tickets go on sale on July 5th at 9.30am from the usual outlets. A new single from the band, Standing Next To Me, is set for release on July 7th. Check out the retro video for it below. The Fred Perry summer sales is now on. Instore and online until the 27th July there are reductions across most lines, with some up to 50% off. In addition, a small selection of autumn ’08 styles are available to buy now (online only). Visit the online store here.